If you’re in the construction business, and looking to grow your operation, there’s never been a better time. Take a look at the stats below. With expenditure reaching in excess of a whopping $900 billion, the United States is the second largest construction market worldwide. Indeed, the construction business is a thriving industry in the USA, with over 729,345 construction companies operating across the country. According to US Census Bureau, the annual revenue of the US construction industry stands at a staggering $1.731 trillion. However, despite the immense growth prospect in the construction industry, you must follow the best practices and make the right move to stay ahead of the competition and make it big. Here is some of the best advice from construction industry experts to help you move in the right direction. Before you can implement strategies for business expansion, you need to conduct a comprehensive assessment of your company as a whole. Try to find answers to the following questions. Are you getting repeat sales? Is your business financially stable? Do you receive customer referrals? What is the level of customer feedback and do you ask for feedback? Conducting honest conversations with management, key personnel and accounting heads, and remaining positive to the feedback will allow you to know the present state of your business and to make prudent decisions going forward. Remember that if many things are wrong internally, then all the marketing efforts could go to waste. Similarly, if your customers are not satisfied and are not referring other people to your business, then in-house cleanup should be the first step to grow your construction business. During your internal assessment and re-organization, you should evaluate existing skills and personalities and ensure that only people with the right skills and experience are part of your team. Good employees are motivated to lead and do not need supervision. After you recruit new employees, make sure to train them on your organization’s operations and to instill your vision and work ethic into them. Similarly, you should know your limits and bring on board professionals who can help you to do the right things and to avoid costly blunders. Hiring experts can also help you to maximize returns from your efforts and grow your construction business. You should also work relentlessly on your leadership skills and have a reliable plan for re-fueling your zeal and passion when fatigue and obstacles dry up your wells of motivation. Moreover, you should establish an accountability strategy and have someone assess your performance frequently. Use this handy construction industry self-assessment tool to measure your performance against your set objectives. Small-scale contractors usually lack the financial muscle to support their expansion. In fact, many small businesses usually struggle to sustain good cash flow and frequently find it tough when customers delay their payments. Indeed, rarely can a business grow if it depends entirely on the owner’s resources to support its activities. 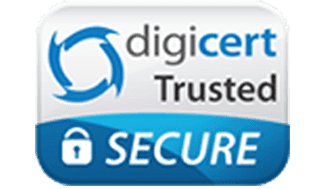 Therefore, as a contractor, you should explore ways of accessing a line of credit, overdraft protection, bonding or bank loans for expanding your activities and growing your business steadily. You should also implement spending control solutions (like Bento) to eliminate waste and make your precious dollars go farther. To attract funding, you should apply effective management practices in order to achieve an attractive profit margin. You should also put in a lot of time and effort in searching for the right bonding company and a reliable bank. For instance, you should make frequent presentation binders of your firm’s strengths to potential sureties and banks. The business portfolios and plans to be presented to financing institutions must include the following documents. The goal of your presentations should be to demonstrate your level of professionalism and to persuade the sureties and banks to finance your business. Furthermore, when searching for the right bank or bonding company to help grow construction business, you should ask contractor friends, builder’s association, competitors and insurance agents for recommendations. The life and growth of your construction business depends immensely on a seamless cash flow. In fact, many construction businesses usually fail because they cannot cover the costs of the overhead they are already committed to. Therefore, you should watch overhead expenses carefully and know the cost of any extra business before accepting it. Before increasing your overhead costs, you should test the market where you plan to work in and establish whether you will get enough work at the new price. Similarly, your pricing should factor in all the costs to be incurred during each project, making sure that the appreciating value of materials and labor is properly catered for. Nonetheless, you should guard against allowing your projected profits to escalate the costs of completing construction projects. Contrary to popular belief, the lowest bidders in many construction projects usually lose out because many customers often associate the cheapest bids with poor workmanship and low quality materials. Hence, raising your prices can help you to get the requisite funds for expansion. However, you should conduct a meticulous customer-attitude, material and workmanship research before you raise your prices because you may potentially lock out your long-term contacts and clients with the new prices. Your extensive research and analysis should help you to discover a way of increasing your prices without infuriating your clients. For instance, you can reduce prices on some items and increase the prices of others so that when you explain the changes to your clients they recognize that you paid careful attention to their needs and offered the best prices you can. Small construction businesses succeed best when they seek and find clients who fit seamlessly within their mission and who they can easily satisfy. Construction companies also expand swiftly when they have established strong customer service teams to help them build long lists of happy clients who can refer new clients and make repeat purchases. Indeed, if you want your small business to grow, you should focus on exceeding the expectations of your current customers in order to reduce customer turnover. Retaining clients who can make repeat purchases will help you spend less in marketing as you will not be in the unending frenzy of finding new clients to replace current ones. Besides, exceptional customer service will encourage customer feedback and allow you to work with your present clients to define new service and product opportunities. Small construction businesses cannot grow if they cannot gain new clients and expand to new zones. Therefore, to grow your construction business, you should invest sufficient funds in branding and marketing. For instance, you should have your construction firm on Facebook, LinkedIn, Yellowpages.com, Yelp, build a professional website, paint your company’s truck to match your shirts, logo, letterhead, business cards, print and email postcards, initiate a customer’s’ referral program, and offer an incentive to those who refer prospects to your company. Embracing internet marketing and putting in a lot of effort to develop new contacts and leads, to nurture word-of-mouth referrals, and to sustain social media conversations about your business will also help to grow your business swiftly and steadily. Although these steps will not guarantee success, using them as a template for your business will certainly help your business grow. If you’re looking to grow your construction company, there are a few things you should focus on, including both in field and in management – tie construction schedules to budget durations, make correct estimations, and secure sufficient operating capital to support bonding and growth. With these tactics in mind, small construction businesses can gain more customers and expand their market share, get their customers to spend more money per contract, get repeat contracts with the same customers, and have their clients spread the word about their quality of services. Bento for Business is a modern way to control employee spending for construction firms. You can easily set monthly spend limits and allow only certain purchase categories (e.g. Lou the supervisor can only spend $500/week and the card only works to at fuel pumps or restaurants but not building materials). Turn cards on/off in real-time and receive a text message or email alerts for every purchase or decline. Enjoy unmatched visibility into cash flow, eliminate expense reports and save time & money, hassle-free. 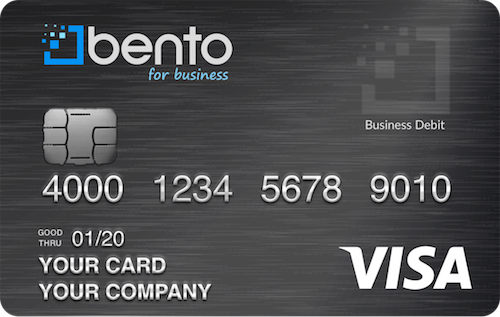 Use this link to learn more and start your free 60-day trial of Bento’s Visa Debit Card for Business.